It seems like all of our children go through phases where they like and dislike something which seemingly just yesterday they enjoyed very much. 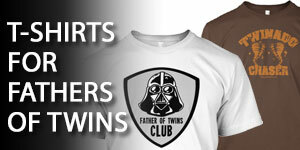 Your kids, even if they’re not twins, will be picky. Pickiness goes in cycles and phases so just when you think you’ve got your kids figured out, they’ll all of a sudden stick up their nose at something that they’ve been eating for years. 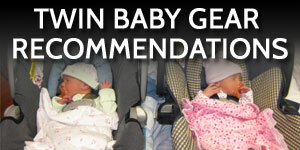 Your twins may display certain behavior on day and then different the next. You may have a good eater and you may have a bad eater and just like their behaviors away from the dinner table, those roles kind of switch around. The personalities change up and what one twin was doing becomes the habit of the other and vice versa. So just because you have a good eater right now or a bad eater right now, it doesn’t mean it’s going to stay that way forever and those roles are going to change. 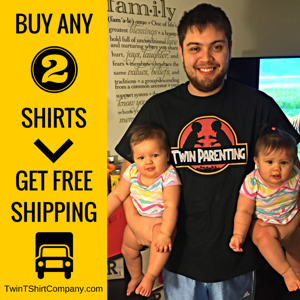 As a twin parent, remember that your twins will be different from each other in their tastes and preferences. 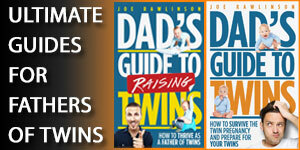 Even if your twins are identical (like our girls) you’ll find that they have very distinct palates. One of your kids is going to love something and the other is going to hate it. If both of your twins are being picky, that’s where you have to start to focus on what is working. If one of your twins is eating, even if it is just a little bit of the food, you need to start to pile on the verbal praise and attention to that child praising them for eating their food. This positive attentions starts to encourage them to continue doing what they’re doing. The other twin, who may be more reluctant, starts to see the positive praise and attention you give to the sibling and they in turn want some of that as well. This may encourage them to try a bite or two or more and maybe finish what they’re eating. Always try to use that positive peer pressure if possible. 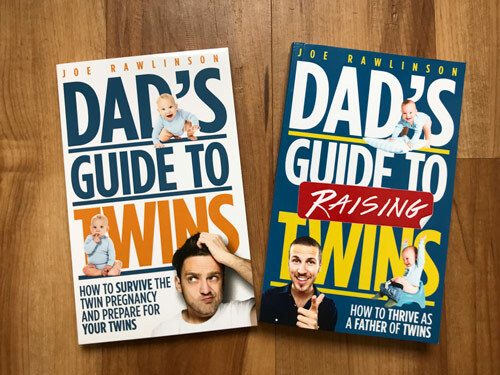 Usually, one of your twins is slightly more obedient than the other one in any given circumstance and so you can try and feed on that opportunity and praise that child positively to encourage that behavior in them and their sibling. It may take several attempts at offering new foods to your children before they will eat it. When I say several, it can be ten times, a dozen times, or more. Don’t give up too early when you’re giving new foods to your kids that they may not want to eat. You may also want to consider trying foods at different times of day. For example, if they’re picky with a food at dinner, serve it for lunch instead or vice versa. Try different ways of cooking foods. For example, maybe they don’t like something that’s baked so you can try it mixed in with something else or sautéed or broiled. There’s many different ways to prepare similar foods. If you shake that up a little bit, your kids may enjoy one format and food preparation better than the other. If your kids refuse to eat what is served, you can’t give in later to their demands and offer snacks or dessert. Snacks and desserts have to be earned based on positive behavior earlier at the dinner table. Don’t give them dessert or a snack if they didn’t eat their dinner. That’s just a natural consequence of their decision. The same thing goes before mealtime. If you’re giving your kids snacks within a couple hours of hours of mealtime, it’s going to ruin their appetite. This is what your mom and your dad told you, when you were kids and the reality is that it’s true. If they’re filling up on things before mealtime they’re not really going to have a big appetite when the main meal comes. Avoid snacks within a couple hours of mealtime and that will help make sure your kids are ready to eat. After dinnertime if they have not qualified for the dessert or the treat, don’t give it to them because that would then reinforce the bad behavior, right? Like, “Well you don’t really have to eat your food and we’ll still give you a treat.” which is not the situation you want to have in your home. One thing that we have found very helpful in getting our kids to eat the food that is served is to involve them in the preparations. How your kids are involved in food preparations will vary based on their age. Even very young children can help stir something, mix something, or get some ingredients for you. Involve your twins in the pre-meal phase where you go shopping and they help pick out the fruits and vegetables or the things that are going to be included in the meal. We have found that when our children help with the food preparation, they have more of an affinity for whatever is prepared even if their siblings don’t respond as well to it. They “helper” will love the meal and even encourage their siblings to eat it as well. If your children are being picky, you need to look at yourself to see if you are being picky too. What kind of example are you setting for your children in your eating habits? If you expect them to eat what is served, you have to eat what is served too. How are you commenting on the food that is prepared? Is it in a positive uplifting way or is it in a “I’d rather not be having this” or disgusted kind of way? Lead by example. Eat what you are asking them to eat because they are going to follow your lead most of the time. If you are still struggling with pickiness with a particular ingredient, you may want to take a favorite meal or a dish that you serve your twins and then mix in that secret ingredient to stealthy and sneaky to get it into them. Be aware: they may call your bluff. They may recognize what it is visually. There’s ways you can chop things up or shred things or blend things. There’s lots of ways to hide ingredients in food. You might have other creative ways to introduce these secret ingredients into their meals too. If they already love something, mix in a secret ingredient and see how much mileage you can get from that. You should not offer substitutions. If you are serving a particular food, it’s not ok to say, “Well if you’re not going to eat that then I’ll let you have a sandwich or I’ll make some macaroni and cheese for you.” This starts to reinforce the behavior of “Well, Mom and Dad are going to make two different meals: whatever they’re eating and then whatever I want to eat.” This is not the situation you want to have. You want to be able to cook one meal and one set of food and not make multiple meals for the same family meal. We’ve tried a few rules in our house with varying results. One of these is that you have to have two bites to be polite. So no matter what is served, you need to try two bites of that to be polite before you move on to something else. This has helped make sure our kids get plenty of exposure to new foods under the guise of being polite and having good manners. That’s worked pretty well for us because then we can keep kind of repeating and serving things over and over again. Eventually they get hooked on the new food and will start to eat it. Another rule that we’ve done with some success is that you can’t have dessert unless you eat everything on your plate. So if you serve a dish, which your kids stick their nose up at and they don’t want to eat, then they don’t get dessert. That’s just how it works. As long as you’re clear upfront with that rule then they know that’s the expectation. Are they going to cry and whine and complain? Yes, absolutely. Are they going to try to negotiate with you even from a very young age? Absolutely. They’re going to say, “Hey can I just have three more bites to qualify for dessert?” You have to stick by your rules and be consistent or they’re going to start to chip away at your rules until they get what they want. Another thing that we have tried is once you have tried everything, once you do two bites to be polite, once you try everything you can have something else to fill you up. That way the kids are still getting something to eat and they have tried all the food that have been served. 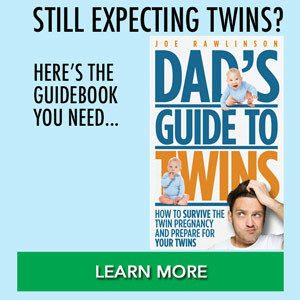 Experiment with some of these different rules in your house to see what works best for your twins. You’re going to have to do lots of experimenting to see what your twins like, what they don’t like, what kind of family rules work and which ones don’t work. Remember positive reinforcement and positive parenting when your kids are doing the right thing. Even if they’re going through a period where they’re not picky, make sure to praise them for eating the food. Give them that positive reinforcement so they want to continue to do that. When you are struggling with picky eaters, don’t give up. Don’t just throw in the towel and make macaroni and cheese every night. They will not be picky forever. 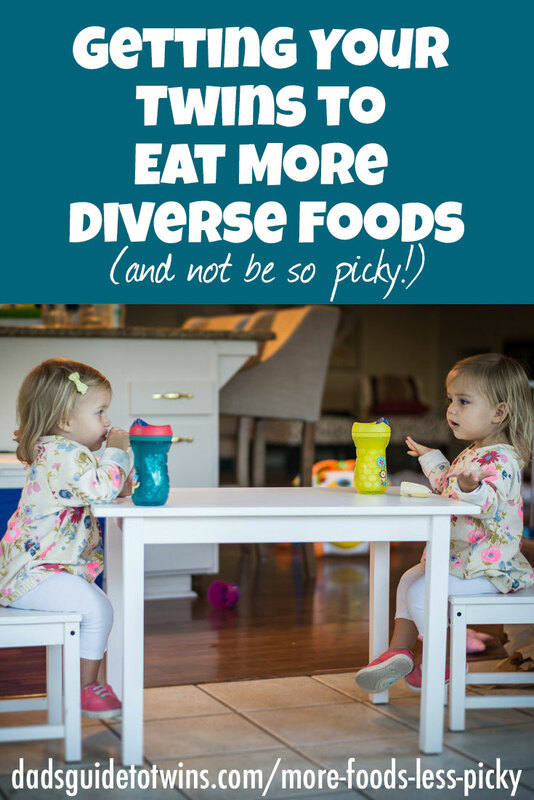 Your kids’ palates are going to evolve and develop and mature and they’re going to eat lots of different foods and they’re going to like lots of different foods. It just takes time. Just think back to when you were younger and how you didn’t like certain foods that you probably enjoy a lot today. Don’t give up. 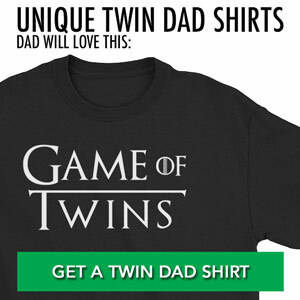 Stick with it and your twins won’t be picky for very much longer.